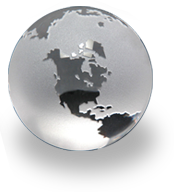 We are proud to offer a unique line of sandblasted crystal paperweights imported from the Czech Republic. Designed by Shelly Bloom, these paperweights are carry messages for a variety of occasions. These beautiful paperweight is sandblasted by artists from the Czech Republic. 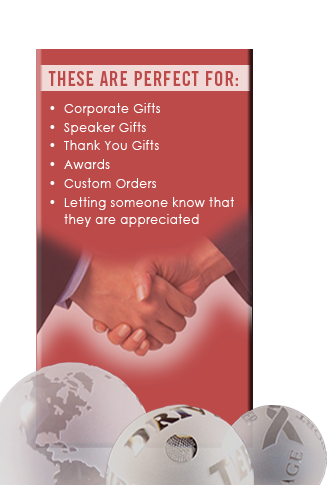 Paperweight features topical art and are perfect for corporate gifts for any occassion. This sandblasted limited edition vase is signed and numbered. Only 100 are being made. 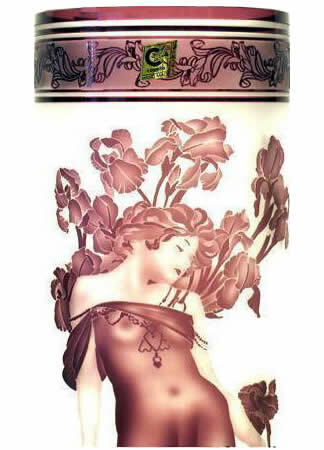 It is inspired by the artist Alphonese Mucha, who is known for making art deco posters. Each piece is individually made, so each piece will have slight variations. 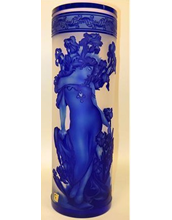 The artist specializes in sandblasted and cameo glass. There is a Letter of Authenticity included with each vase. It is produced in the Czech Republic by the artist Frantisek Sebesta. The vase is 14.25 inches tall.